Physicists reason that if the universe is unnatural, with extremely unlikely fundamental constants that make life possible, then an enormous number of universes must exist for our improbable case to have been realized. Otherwise, why should we be so lucky? Unnaturalness would give a huge lift to the multiverse hypothesis, which holds that our universe is one bubble in an infinite and inaccessible foam. This is more religion than science. First of all, N=4 super Yang-Mills involves supersymmetry. Some forms of supersymmetry are being searched for by the Large Hadron Collider. But those forms involve symmetries that are broken, which allow the particles to have distinctive characters. In N=4 super Yang-Mills, supersymmetry is unbroken. Every particle has the same mass and the same charge. Furthermore, in N=4 super Yang-Mills that mass is equal to zero; like photons, the particles of N=4 super Yang-Mills would all travel at the speed of light. Even with this knowledge, there is an even more certain way to know that N=4 super Yang-Mills isn't “true": it was never supposed to be true in the first place. I’m not a mathematician, however. I’m a physicist. I don’t study things merely because they are mathematically interesting. Given that, why do I (and many others) study theories that aren’t true? Let me give you an analogy. Remember back in 2008, when Sarah Palin made fun of funding “fruit fly research in France?" Most people I know found that pretty ridiculous. The AAAS is dominated by leftist-atheist-evolutionists who are sensitive about use of the word "theory" in "theory of evolution". I understand that they are on the warpath against Christians and creationists, but in my experience, scientists frequently use the word theory to describe a collection of ideas that have not been substantiated or confirmed at all. Fruit fly research is at least telling us truths about fruit flies. One man's research could be proved wrong by another man doing a fruit fly experiment. This guy is bragging that nothing can be done to prove anyone wrong in the field, because the whole field is wrong. A couple of the comments say that his work is justified because he is a mathematician doing math. But he explicity denies that he is a mathematician, so that is not right. In referring to the theory I study as “wrong”, I’m attempting to bring readers face to face with a common misconception: the idea that every theory in physics is designed to approximate some part of the real world. For the physicists in the audience, this is the public perception that everything in theoretical physics is phenomenology. If we don’t bring this perception to light and challenge it, then we’re sweeping a substantial amount of theoretical physics under the rug for the sake of a simpler message. And that’s risky, because if people don’t understand what physics really is then they’re likely to balk when they glimpse what they think is “illegitimate” physics. Silly me, I thought that science was all about trying to approximate the real world. Until I discovered string theorists and others who want nothing to do with the real world. I don't doubt this experiment, but the explanation is really misleading. Quantum mechanics teaches that photons never exist as particles. They have some particle properties and some wave properties. A lot of these quantum paradoxes depend on you thinking of photons as particles, analogous to macroscopic particles with which we have personal experiment, like marbles or ping pong balls. Think of photons as particles, and almost everything about light is very mysterious. Stop thinking about them as particles, accept quantum mechanics, and light is not so strange. There are no applications to uncrackable secret communications or to quantum computing. This is just quantum mechanics, not some great new physics. I get this argument: really, I do. I even concede that there’s something to be said for it. But let me now offer a contrary argument for the reader’s consideration. ... If that happens, then I predict that the very same people now hyping D-Wave will turn around and—without the slightest acknowledgment of error on their part—declare that the entire field of quantum computing has now been unmasked as a mirage, a scam, and a chimera. The same pointy-haired bosses who now flock toward quantum computing, will flock away from it just as quickly and as uncomprehendingly. Academic QC programs will be decimated, despite the slow but genuine progress that they’d been making the entire time in a “parallel universe” from D-Wave. People’s contempt for academia is such that, while a D-Wave success would be trumpeted as its alone, a D-Wave failure would be blamed on the entire QC community. I get the impression that there is some resentment of D-Wave's private funding. It is okay if university quantum computer researcher make wild claims, because they don't have to deliver a product. D-Wave promises a product that can be benchmarked, and subject to failure in the marketplace. There is, unfortunately, no proof that quantum computing is possible. And it may never be. Peer-reviewed professors can live in an academic bubble, and pretend that it is possible. It sounds great, but apparently there is some dispute about whether there is really some sort of magical quantum speedup. This [argument that an off-the-shelf classical can solve the D-Wave problem many times faster] is exactly like arguing that if you look at the Wright Brothers’ first flight at Kitty Hawk, they could have gone farther, faster, and much more cheaply if they had just used an automobile. It’s just not the right comparison. D-Wave’s money was not spent only to build this current device; you have to consider that from their viewpoint, it’s just one step on the pathway to a much more complicated and useful device. I began by explaining the theory behind quantum computing and why they hold the promise of significantly faster processing. In essence, it relies upon the fact that whilst conventional “bits” can be 0 or 1, quantum bits (so called qubits) can be both 0 and 1 at the same time (known as superposition). If you can combine qubits (known as entanglement) you can have a system that can process values that expand exponentially with the number of qubits you entangle. As with conventional programming, these qubits are passed through various logic gates to achieve the desired results. Hence, this is known as the “gate theory” of quantum computing. I agree that thinking about the wavefunction “realistically” (as an exponentially-large classical object) seems to be a mistake that countless popular writers make, which then leads them to believe that quantum computers can solve black-box search problems instantaneously, store exponentially-many classical bits, and do other things that they’re known not to be able to do. So he will take Templeton money if they offer him enough. Everyone has his price, I guess. string theory, and the arrow of time. That stuff is no more scientific than most of the stuff that Templeton promotes. Tim Maudlin asks for evidence of the distorting effect of Templeton funding. So if 72% of phulosophers are atheists, then no private foundation should do anything to decrease that percentage? I am all in favor of separating science and religion, but I put many-world and string theory on the side of religion. There is no more evidence for those concepts than there is for astrology. The book seems to be an elaboration of these papers, downloadable for free: Underdetermination and Theory Succession from the Perspective of String Theory, On the conflicting assessments of the current status of string theory, and Realism in the age of string theory. The argument is that a lot of big-shots work on string theory, so it must be science. The theory is unique because it claims to explain everything, while actually explaining nothing. Since the theory cannot be tested, we have to accept new definitions of science and realism. Some really smart people have opinions about what is aesthetically pleasing, and that can substitute for experiment. Yes, that's it. He is trying to promote string theory, but his empty argument show that the theory is a failure by any objective standard. Concerning the first argument, it is the actual explanation why the top bright theoretical physicists focus this high percentage of their intellectual skills on string theory. They simply divide their mental powers to all promising ideas, with the weight given by the degree to which they are promising. Because one may approximately say that there aren't any other promising "big ideas" outside string theory, people can't work on them. So if these super-smart guy had a mystical belief in unicorns or astrology, and string theory were perceived as better than the alternatives for the purpose, then they study string theory. The problem with this argument is that there is no good reason to believe in unified field theory, and no good reason for believing that string theory would be progress towards that end. I am unhappy with this new podcast: Live From NECSS With Jim Holt On Why Does the World Exist? Holt is a fine science journalist, and most of the discussion was about silly and unanswerable philosophical questions. But I believe he also painted a seriously inaccurate picture of modern physics. He said that the universe is so "crummy", "not elegant", with "60+ elementary particles", 110 elements, and the "standard model is so ugly". [at 15:00] The argument is that God should have been able to create a simpler design. This is wrong. The standard model is quite elegant. 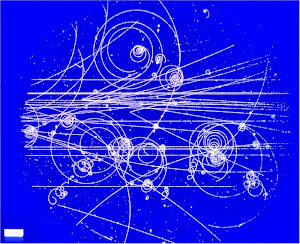 All matter is made of quarks and electrons, with energy being transmitted by bosons. You can only get to 60+ particles if you count colors, flavors, anti-particles, etc as separate particles. I still don't know how you get to 60 unless you also include supersymmetric and other fictitious particles. There are textbook explanations of quantum mechanics that make perfect sense, and that has been true since about 1930. There are people who claim that it would make more sense with hidden variables or parallel universes or other such nonsense, but they have been proven wrong for 80 years. Lee Smolin is a recent example. Yes, I know that Feynman said that quantum mechanics is hard to understand, and that is true if you want to relate it to everyday macroscopic experience. But you can understand the theory by just reading Feynman's textbook. Twentieth-century physics has brought us two kinds of strangeness: strange things we more or less understand, and strange things we do not understand. The first category includes relativity and quantum mechanics. Relativity reveals that time is not absolute. Clocks in relative motion to each other tick at different rates. We don’t notice relativity in daily life because the relative speed must be close to the speed of light before the effects are significant. Quantum mechanics presents a probabilistic picture of reality; subatomic particles act as if they occupy many places at once, and their locations can be described only in terms of probabilities. Although we can make accurate predictions about the average behavior of a large number of subatomic particles, we cannot predict the behavior of a single subatomic particle, or even a single atom. We don’t feel quantum mechanics because its effects are significant only in the tiny realm of the atom. I know what he is trying to say here, but this is wrong. Relativity does not deny absolute time. When cosmologists say that the age of the universe is 13.8B years, they are using absolute time. We can distinguish the past from the future. Clocks don't tick at different rates; they only appear that way to certain observers. We can see relativistic effects in the form of magnetism. Probability is not essential to quantum mechanics. We can apply the theory to predict the behavior of single atoms. We can say what will happen if it is struck by a photon or electron, and we can say how it can bind with other atoms. We feel quantum effects all the time. In just reading this text, your eye is detecting individual photons. The category of strange things we do not understand includes the origin of the universe and the nature of the “dark energy” that pervades the cosmos. 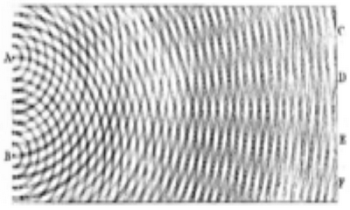 Over the last 40 years, physicists have realized that various universal parameters, like the mass of the electron (a type of subatomic particle) and the strength of the nuclear force (the force that holds the subatomic particles together within the centers of atoms), appear to be precisely calibrated. That is, if these parameters were a little larger or a little smaller than they actually are, the complex molecules needed for life could never have formed. Presumably, the values of these parameters were set at the origin of the universe. Fifteen years ago, astronomers discovered a previously unknown and still unexplained cosmic energy that fills the universe and acts as an antigravity-like force, pushing the galaxies apart. The density of this dark energy also appears to be extraordinarily fine-tuned. A little smaller or a little larger, and the life-giving stars would never have formed. We know a lot about the nature of dark energy. We know the pressure and the density, we know that it is appears to be uniform (and Lorentz invariant) thru-out the universe, we know its history since the big bang, and we know how it continues to expand. Or at least we think that we know. And the dark energy is not finely tuned. If it were, then it would have been discovered much more than 15 years ago, as it would have been a consequence of the existence of stars. This is kooky. I have not seen the book, so I don't know if it is as bad as it sounds. The recent Rupert Sheldrake on "Science Set Free" podcast interviews a scientist with crackpot ideas. His excuse is that Thomas Kuhn discovered that science was about groupthink, and not truth. A comment defends pursuing untestable ideas because string theory is not testable either. Here is a poll of philopher beliefs, but it does not directly ask about Kuhn's paradigm shift theory. This is pretty wacky. I say that the Grandfather Paradox disproves time travel. Here is a completely separate proof that we will never see time machines. If some future advanced civilization ever got time machines, then surely someone would decide that they are a really bad idea, and go back in time to kill the first inventor before he can create a time machine. If you believe in Many-Worlds, then I suppose a time machine could take you to a parallel universe. But Many-Worlds is another crackpot idea with no scientific merit. Frank Wilczek is promoting time crystals. These are not as crazy as time machines, as you cannot use them to violate logic and physics laws.